Art With Mr. E: ?!?!?!800?!?!? Pure nuttiness?!?! 800 of you wonderful people are following Art With Mr. E! That just blows my mind. I decided to tip my hat to the Line Design lesson.....I know that (and Pinterest) is what has brought many of you to my blog. Hopefully you've not found me to be a one trick pony though....and have enjoyed the other content I've "put out there". I would have never guessed 4 yrs ago when I started this blog...that I'd has such a wonderful community of people. The questions, sharing, & ideas have challenged & encouraged me. Thank You! Congratulations! I love the line designs in the "800" picture! Your blog has consistently been one of my favorites since I started blogging, and I'm sure your numbers will continue to grow. Holy Moly Mr. E! I was surprised with my 500 followers that I just noticed. :) Pinterest has by far been the biggest source of traffic, but also YOUR BLOG refers people to me the second most. I think because I am linked on your blog roll on the side. So thank you! I agree with Marcia. Pinterest is a huge resource of traffic but your blog definitely helps mine out too. 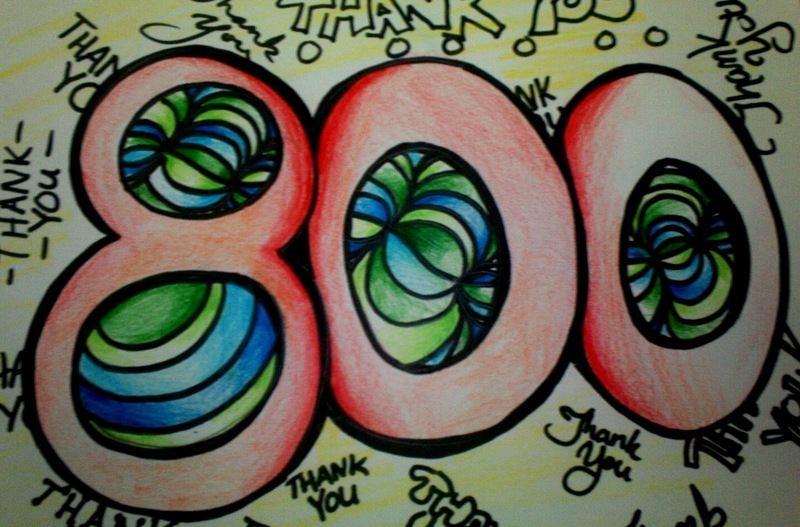 Congrats on your 800 followers. And good luck on this upcoming year!! Didn't I JUST send Conrats for your 700th follower? Geez Louise! You are one popular Art Dude! Does your wife ever ask you how you got all of us to follow you?LOL But for reals, I totally get why there are 800+ people interested in what you have to say. Remember when I told you yours was the first Art blog I'd ever read? I guess I'm a Ted lifer! Hello Mr. E! Congratulations!!! I'm new to the whole blogging thing and yours is one of the ones that inspired me to get on board. Thank you for sharing. I've been dealing a lot with the common core and how I'm preparing myself in the art room...I would love your input!